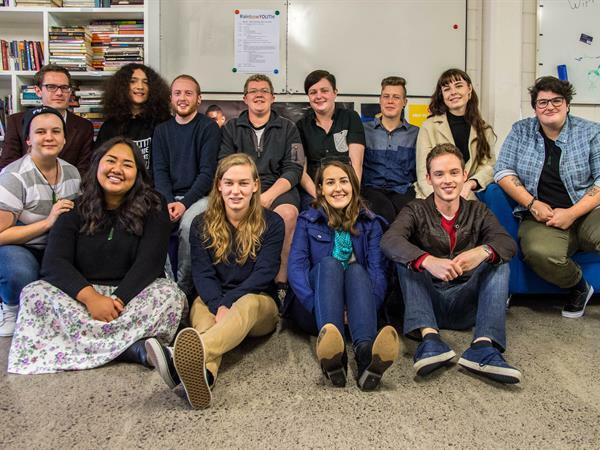 RainbowYOUTH (est.1989) is a charitable organisation dedicated to helping young queer and gender diverse (LGBTIQ) people up to the ages of 28, as well as their wider communities. We provide referral, peer-support groups, information, a drop‑in centre, resources, training and volunteer opportunities. At RainbowYOUTH, we’re about fostering a safe, inclusive, accepting and diverse family environment. We are drug, smoke, and alcohol free. Our motto is Know Who You Are, Be Who You Are. Māori: Whaia to ake ngakaunui, i te pono, i te marama. Simply translated, it means: Follow your desires with truth and clarity. Know Who You Are, Be Who You Are. Whaia to ake ngakaunui, i te pono, i te marama - Follow your desires with truth and clarity. Fostering a safe, inclusive, accepting and diverse family environment.